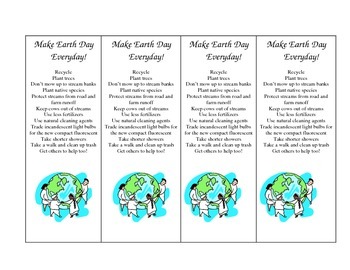 These bookmarks make a special treat for your students on Earth Day. They have a list of kid-friendly things for helping the earth. I laminate for durability.